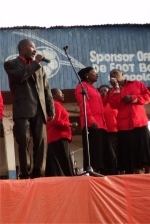 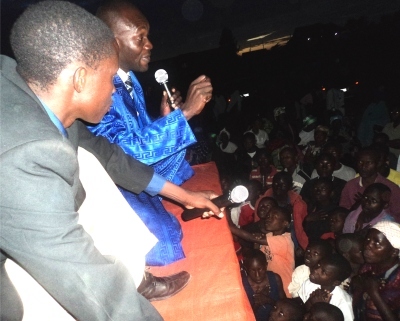 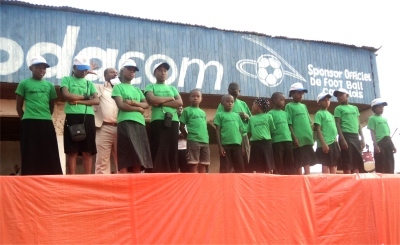 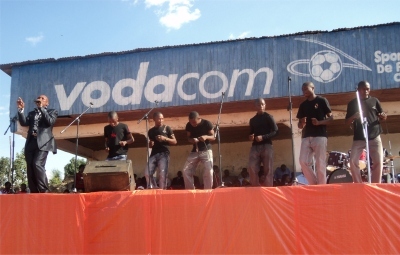 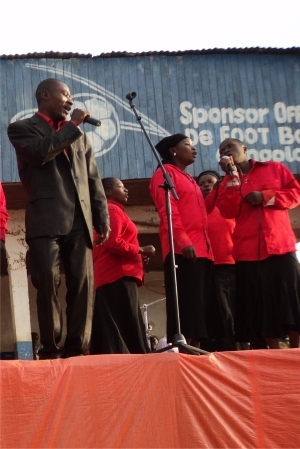 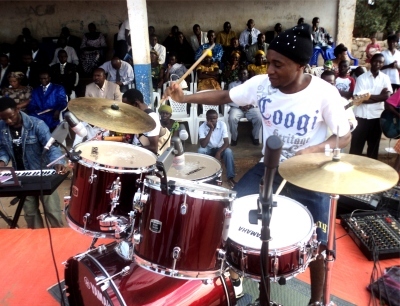 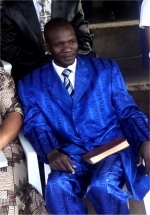 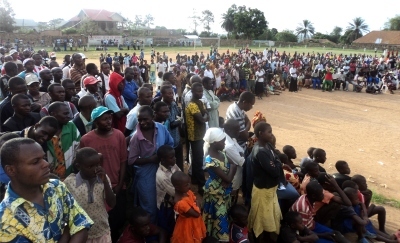 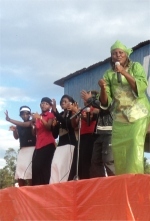 The crusade was held at the Beni sports stadium and drew a crowd. 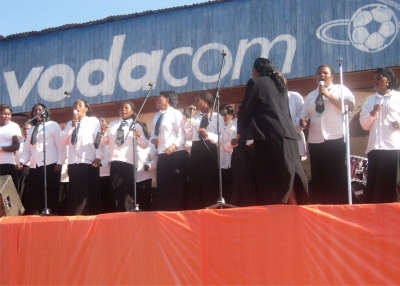 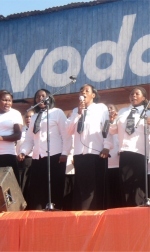 The event started with wonderful praise and worship with many churches partnering together to create choirs and mass choirs, the Hope Children's Choir was also represented. 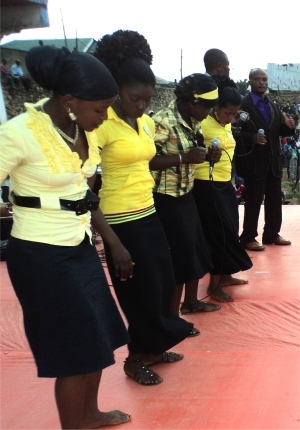 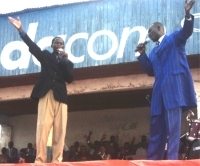 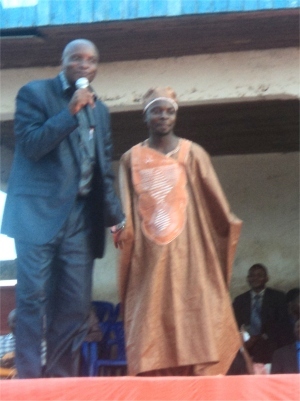 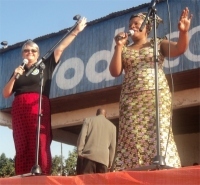 One of the main focuses for the DR Congo Crusade was the Saturday afternoon child Evangelical Outreach and it was a bright sunny afternoon as Jenny Tryhane and her translator Pastor Martina stepped out onto the platform to bring the message. 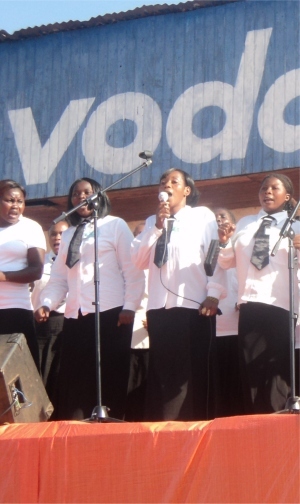 The afternoon was made complete when the Hope Children's Choir led the praise and worship.